Since the end of Apartheid, there has been a new orientation in South African art and design, turning away from the colonial aesthetics to new types of African expression. This book examines some of the fascinating and impressive works of contemporary public architecture that 'concretise' imaginative dialogues with African landscapes, craft and indigenous traditions. 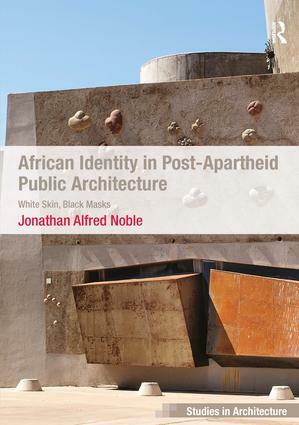 Referring to Frantz Fanon's classic study of colonised subjectivity, 'Black Skin, White Masks', Noble contends that Fanon's metaphors of mask and skin are suggestive for architectural criticism, in the context of post-Apartheid public design. Taking South Africa's first democratic election of 1994 as its starting point, the book focuses on projects that were won in architectural competitions. Such competitions are conceived within ideological debates and studying them allows for an examination of the interrelationships between architecture, politics and culture. The book offers insights into these debates through interviews with key parties concerned - architects, competition jurors, politicians, council and city officials, artists and crafters, as well as people who are involved in the day-to-day life of the buildings in question. Contents: Foreword; Introduction; Imagination and identification, part 1: the Mpumalanga legislature, Nelspruit; Imagination and identification, part 2: the Northern Cape legislature, Kimberley; 'We the People', part 1: the Constitutional Court of South Africa, at Constitution Hill, Johannesburg; 'We the People', part 2: the Walter Sisulu Square of Dedication, Kliptown; Honouring our other 'We': Freedom Park, Pretoria; Conclusion; Bibliography; Index. Dr Jonathan Alfred Noble, University of the Witwatersrand, Johannesburg, South Africa.